Since 2016, Orange Park Medical Center has been a Level II trauma center with provisional status, meaning the state had given it the go-ahead to operate as one, but the hospital hadn’t received final approval, until the governor signed a new law. “This bill allows us to become a more permanent fixture in the trauma world in Florida,” the hospital’s Trauma Medical Director Miren Schinco said. 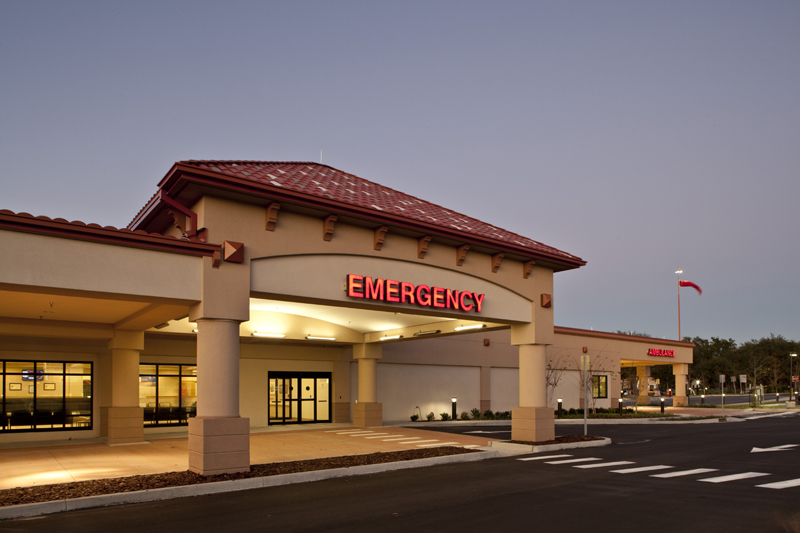 Orange Park is one of a few provisional hospitals grandfathered in under the law. Schinco said it’s important because Clay County residents don’t have to go to downtown Jacksonville for a hospital with a round-the-clock trauma team and fully-staffed ICU. “It can be even life-saving if the patient doesn’t get to the hospital soon enough it can mean a significant difference in outcome,” she said. The main purpose of the new law is to settle disputes, as existing trauma centers had challenged new applicants. As WFSU reports, fights have often pitted safety net hospitals which serve large numbers of uninsured and underinsured patients against private hospitals. Locally UF Health Jacksonville had opposed Orange Park’s provisional trauma status in 2016. Orange Park had its trauma designation revoked in 2013 by the state, but got it back in 2016. Some months after that a judge recommended Orange Park not have the status. The new law is seen as a compromise. “We’ve done a good job between safety nets, HCA and the Senate in order to get to what some would believe is a significant compromise," Republican Rep. Jay Trumbull told WFSU. The HCA hospital chain, includes Orange Park Medical Center, and has sought to open trauma centers at several of its hospitals. The state is broken up into regions and the bill makes it clear no more than five centers can be allowed per region. The law reduced the number of regions from 19 to 18, which impacts South Florida. The legislation requires the health department to establish a trauma center advisory council as well as an analysis of the state’s trauma system. The legislation states any future trauma center approvals will have to be based on community need. “It just makes the process more introspective and makes it so that any hospital can't just become another trauma center,” Schinco said. Now that Orange Park no longer has a provisional status, Schinco said the hospital is hoping to start a surgical residency program within the next two years. WJCT reached out to UF Health for comment on the new rules but did not hear back before this story’s deadline. As Gov. Rick Scott seeks to eliminate a cap on the number of trauma centers in the state, an administrative law judge has ruled that the Florida Department of Health improperly allowed a Clay County hospital to open a trauma center last year.